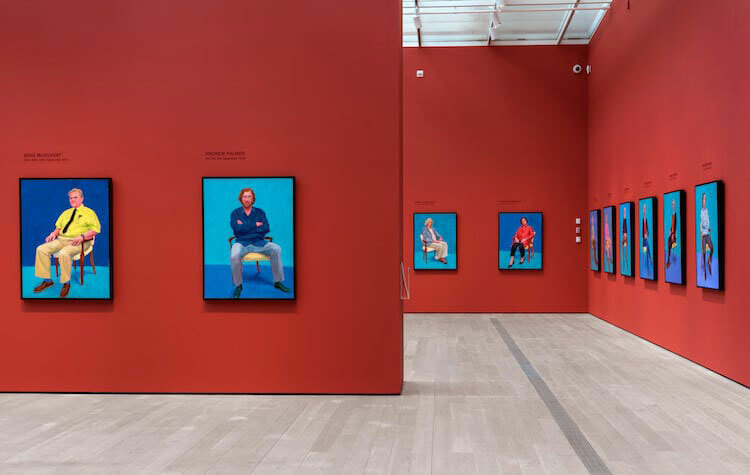 Celebrated English painter, David Hockney, is exhibiting his wildly anticipated David Hockney: 82 Portraits and 1 Still-Life series in the US. The exhibition has had renowned success across Europe and Australia and will debut at the Los Angeles County Museum of Art (LACMA). The exhibition features a series of impressively colorful portraits all of which were painted in the last few years. 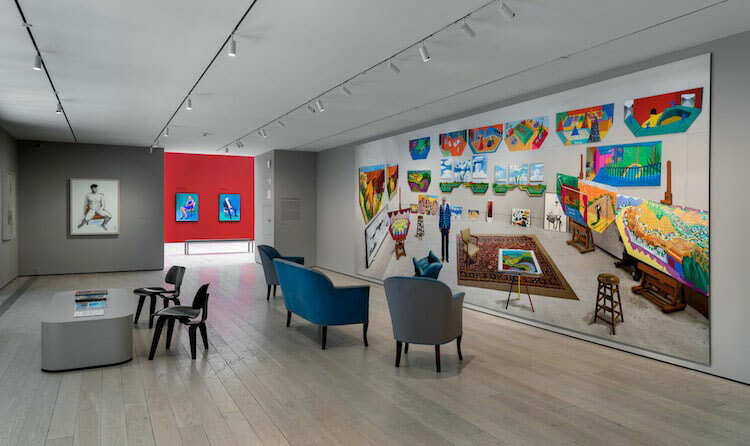 The show in its entirety showcases the artist’s lifelong works as a leader in the pop art movement. 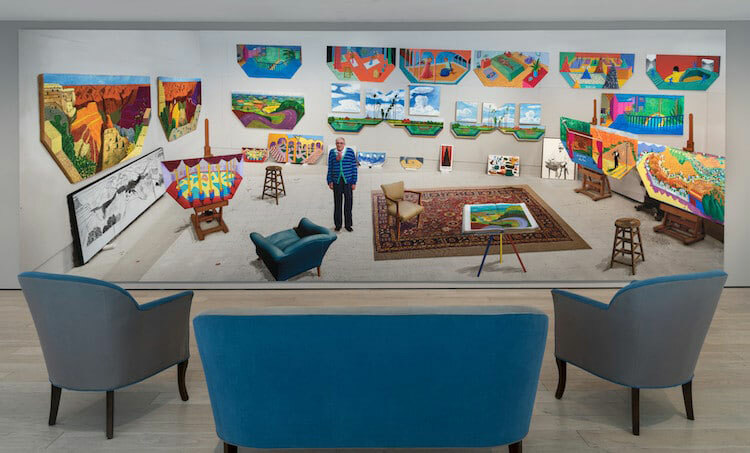 The colorful portraits features prominent art figures as well Hockney’s own friends and family members. The series was painted over several years in his Hollywood Hills studio. The exhibit was featured in My Modern Met where they describe, “Rather than working from photographs, the artist opted to paint the figures from life, completing each portrait after ‘a 20-hour exposure’—a period during which his sitter would pose in a yellow chair.” Each portrait was painted with acrylic on canvas with 82 completed portraits in total. In a similar colorful style as his portraits, Hockney completed the 1 Still Life where he features fruits and vegetables on a blue bench. The colorful produce pop out from the monochromatic canvas.